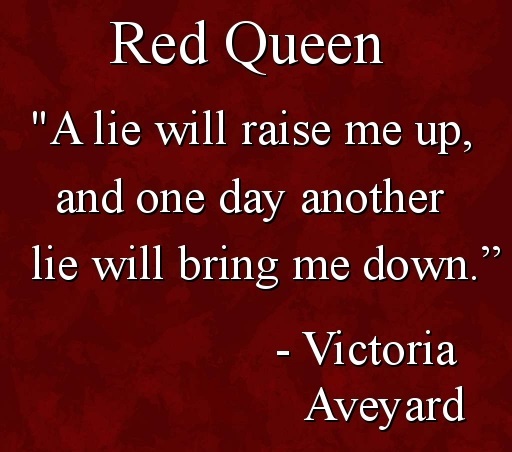 Red Queen by Victoria Aveyard is the first book in the Red Queen series. It follows Mare Barrow, a red blooded commoner in a world ruled by the silver blooded. Her whole life is uprooted when she finds out that she has a special power of her own despite those only being for the elite silvers. Now forced to live a silver life while working against them in a red rebellion, what will she do? I went into Red Queen with an open mind. Ever since it’s debut, there have been a ton of mixed reviews. Some really good ones, and some not so good. But I don’t like to let reviews stop me from reading a book. Everyone has their own personal likes and dislikes and the book sounded very interesting to me. Separating the author from the book, I thoroughly enjoyed it. It may have taken me over a month to actually finish it, but I got there. 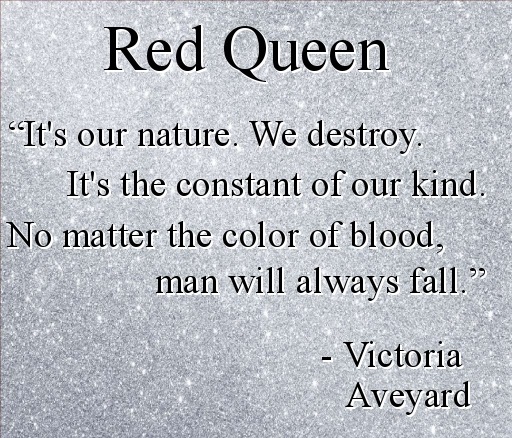 Victoria Aveyard should be applauded for her writing abilities. The story is very well written. She takes an interesting plot and makes it grand. I honestly felt like I was watching a movie in my head while reading it. She built a fantastic world filled with super powers, war, love, and especially DECEIT. For once in my life I actually did not see that plot twist coming. The wide variety of characters set the tone for the story. You have Mare, our heroine. Courageous, genuine, and visionary. She does everything in her power to change the world so that both Reds & Silvers can live harmoniously without iron fist ruling. But that also brings us to her not so great traits. She’s reckless, rash, and easily manipulated. If she truly wants to bring about the changes to her world, she’s going to have to grow and learn more about herself before she screws things up again. Cal and Maven, the silver princes were typical Ying and Yang. Where one was brave, the other was timid. Where one was strong, the other was weak. Where one was good, the other complete evil. You have to read to find out who is who. And let me tell you, you won’t be disappointed. Not all is perfect in Red Queen though. The story dragged on until the huge climax near the end. This was the reason which lead me to take so long to finish it. I just wasn’t invested enough in the storyline around the middle and really hoped at times, that something major was going to happen. It just kept going and going at a snail pace for me. Overall, I had a really fun time reading Red Queen by Victoria Aveyard. I would highly recommend that you don’t listen to the negative reviews this book has unfortunately received, and go in with an open mind. Let me know if you’ve read it, and lets start a conversation! 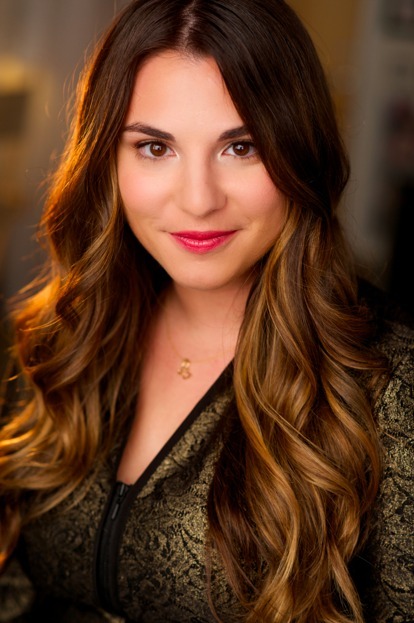 Victoria Aveyard is a writer repped by Suzie Townsend at New Leaf Literary & Media, Inc. She splits her time between her hometown East Longmeadow, Massachusetts and Los Angeles. After graduating with a BFA in Screenwriting from the University of Southern California, she decided to try her hand at writing a novel. Her debut RED QUEEN came out of the terrifying, unemployed year after college. This entry was posted in Menu and tagged Dystopia, Fantasy, July, Orion, Review, Romance, Victoria Aveyard, Young Adult. Bookmark the permalink. Also, liking the graphics :D!! Yes! That ending though. OMG! Did not see that coming. Holy jeez. Aw thanks! Just trying something new. The mix of characters sounds great, a shame the book dragged a bit though! I’m really curious about this one, am going to have to check it out myself. Great review! Oh my God it took you a month to read it?! Wow! 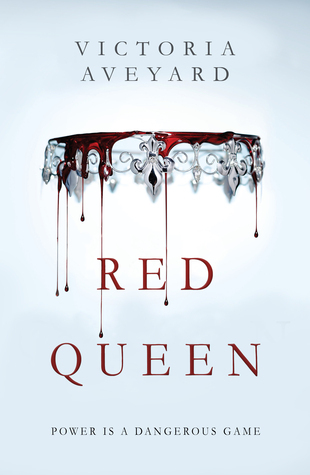 I haven’t read Red Queen yet, but I think I will! This motivated me to read Red Queen. I’ve seen this book being tweeted and was interested. Thank you for the honest review. I guess if it is a little bit dragging then I would put this on the bottom of my TBR pile. 😀 There is a lot of books that I want to start like like SIx of Crows and Falling Kingdom series.